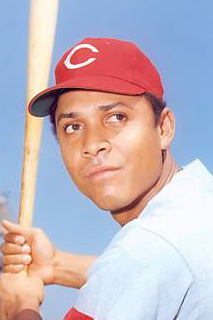 Perez played two full seasons for the Geneva Redlegs, hitting .279 in 1960 and .348 with 27 home runs in 1961. Perez was one of the premier RBI men of his generation, driving in 100 or more runs seven times in his 23-year major league career. He was a 7-time All-Star and played on 3 World Series Champions with the Cincinnati Reds. He was inducted into the National Baseball Hall of Fame in 2000 and was named a member of the NY-P All-Time Team in 2010.